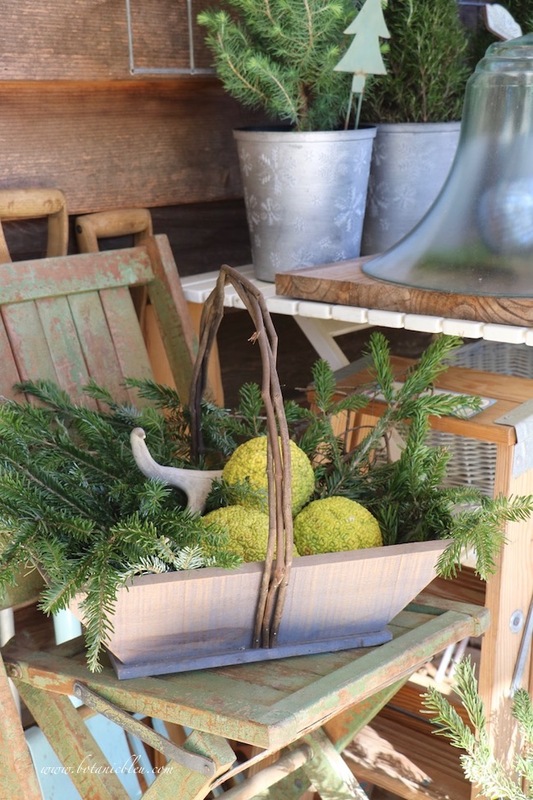 A potting bench just steps away on a back porch is a great place to work on Christmas greenery and to keep potted plants fresh during the holidays. 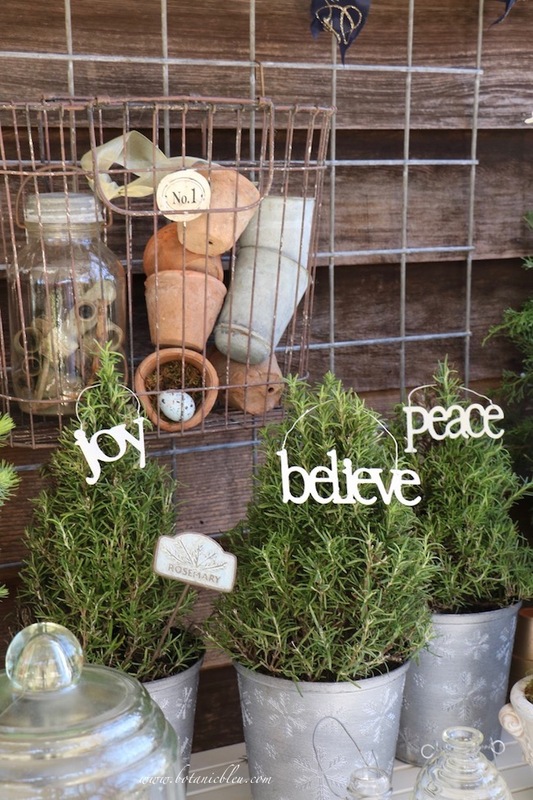 And a potting bench is a place to keep your spirit alive as you work to create holiday magic in your home. 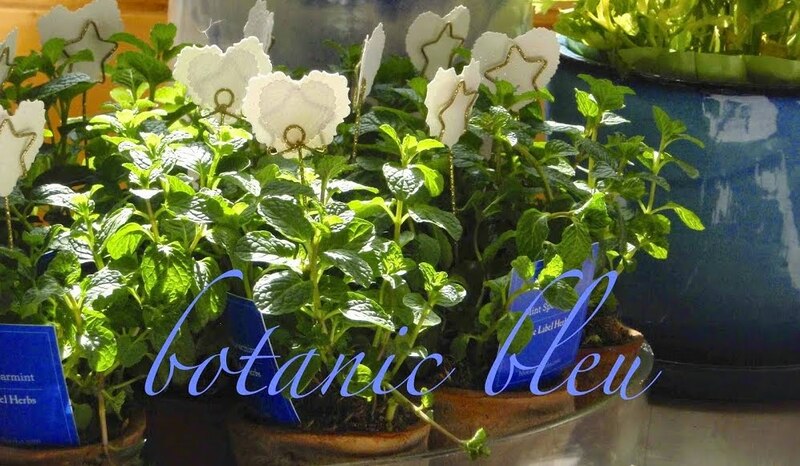 Live plants flourish in cool temperatures and high humidity. 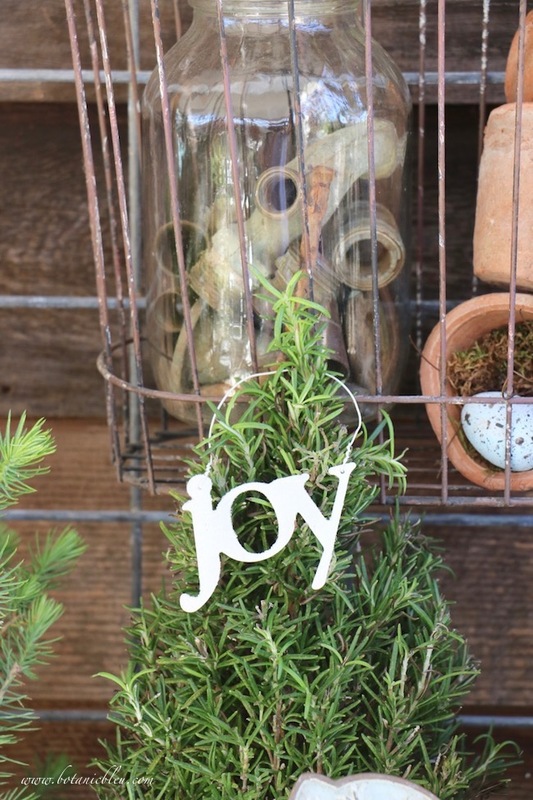 After buying seasonal potted plants like rosemary trees, keep them outside until you want to use them inside as part of your decorations for Christmas celebrations. 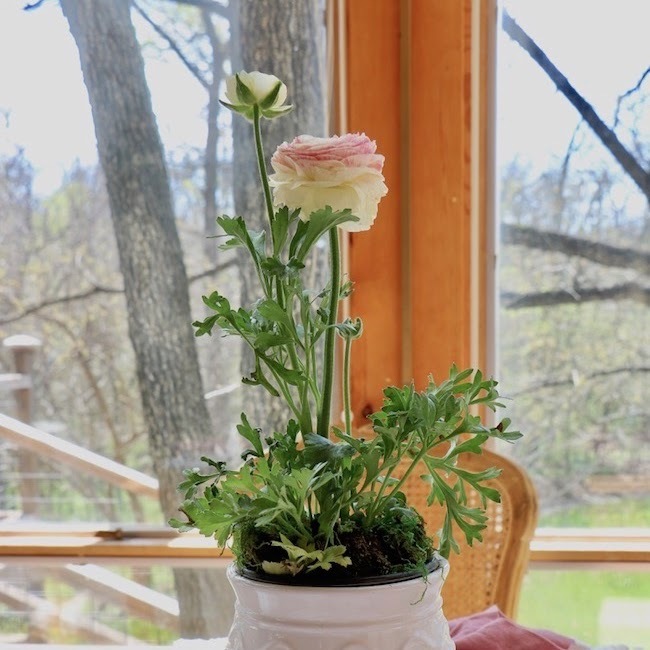 If temperatures dip down to freezing, bring plants inside overnight, and return them to the potting bench the next morning when temperatures rise above freezing. 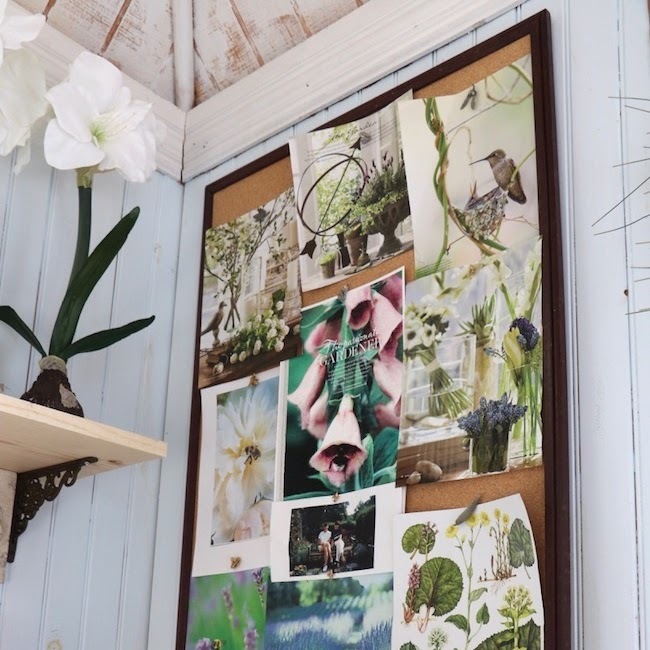 A potting bench just outside your back door on a covered porch makes transporting plants inside, and then back outside, quick and easy. 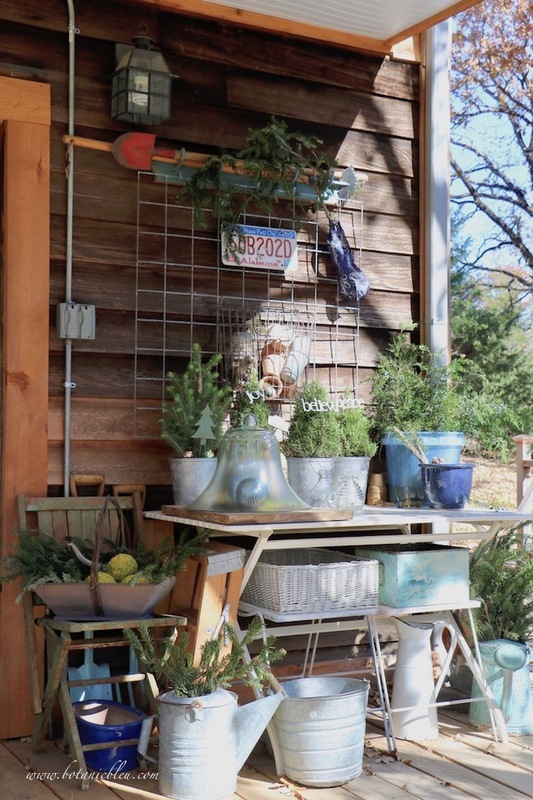 The potting bench on my back porch is simply an inexpensive metal table from IKEA, a galvanized wire grid from Tractor Supply hung on a board with hooks from Hobby Lobby, and two metal patio tables from Lowes. 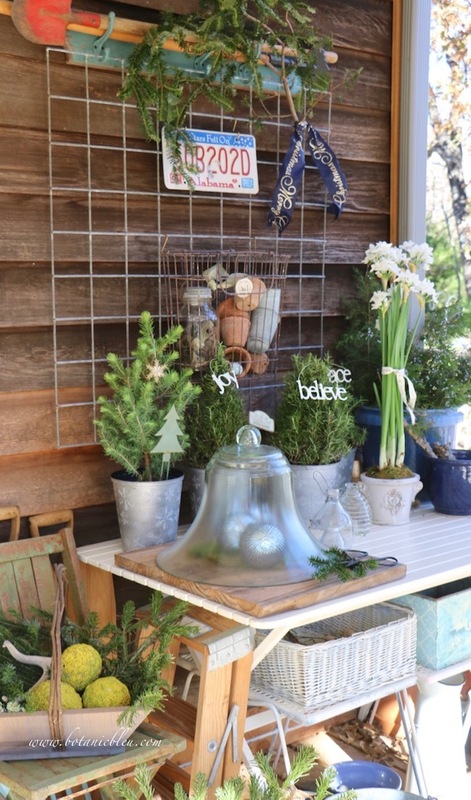 Not only is the potting bench a handy spot for keeping natural greenery, the bench is also a fun place to add Christmas cheer to the back porch. 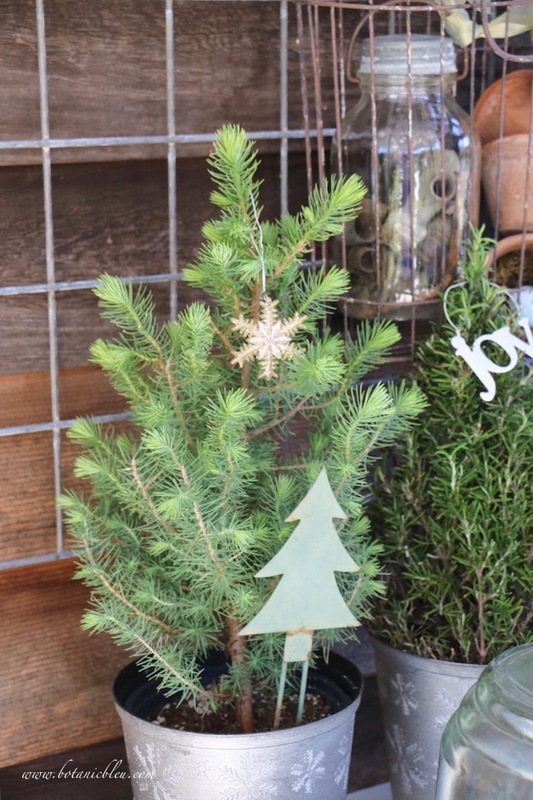 The small potted trees are destined as Christmas kitchen decorations, but seasonal ornaments make the back porch festive while the plants wait to be used inside. 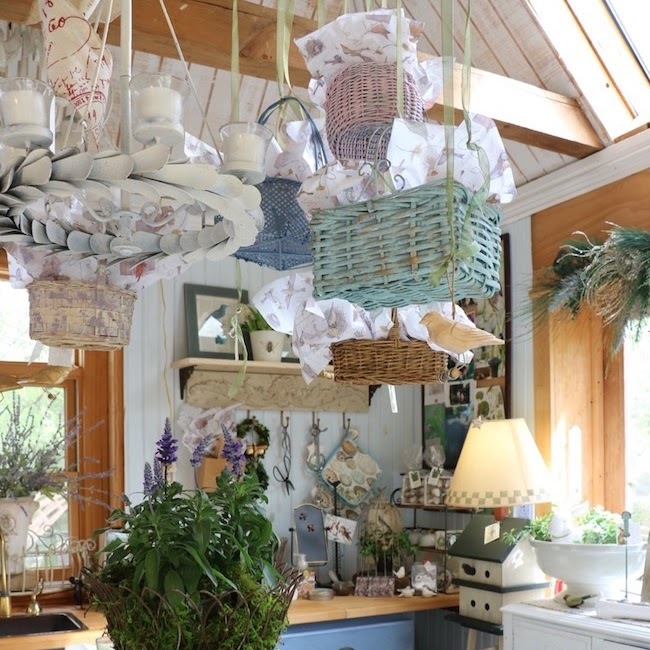 The potting bench is visible from the breakfast sunspace inside which is another reason to add extra touches for the season. 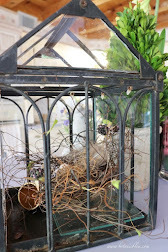 Blue Christmas balls under the vintage garden cloche keep the potting bench decorated when the potted trees are brought inside. 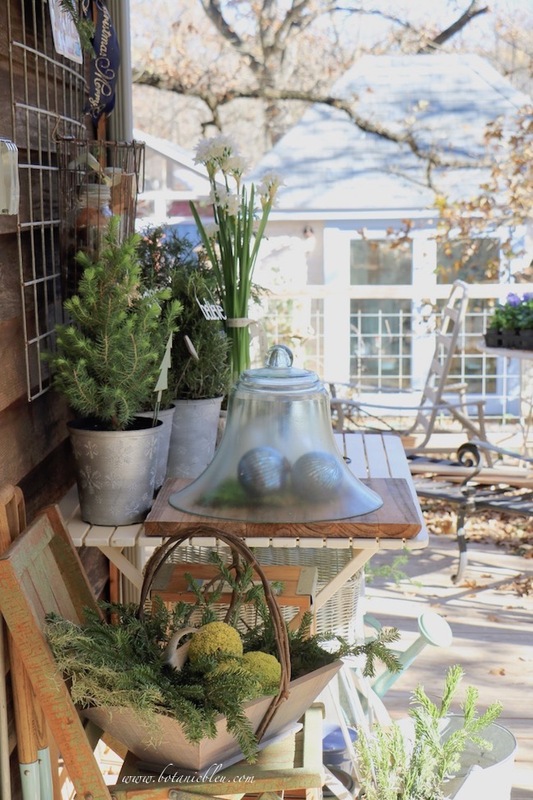 Horse apples, deer antlers, and tree trimmings in a rustic box on a vintage chippy wooden folding chair also remain outside for the entire Christmas season. 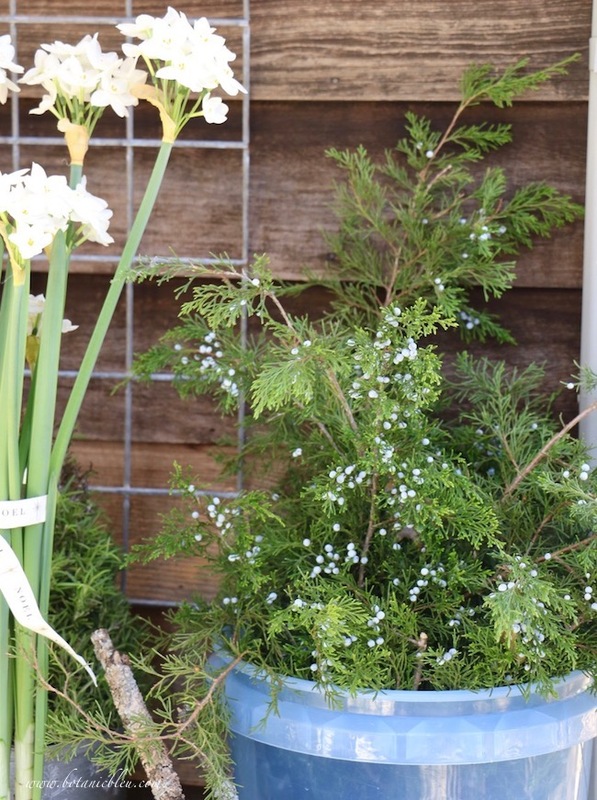 Freshly-cut juniper branches from the yard are stored in a bucket of water, ready to use when needed for indoor arrangements. 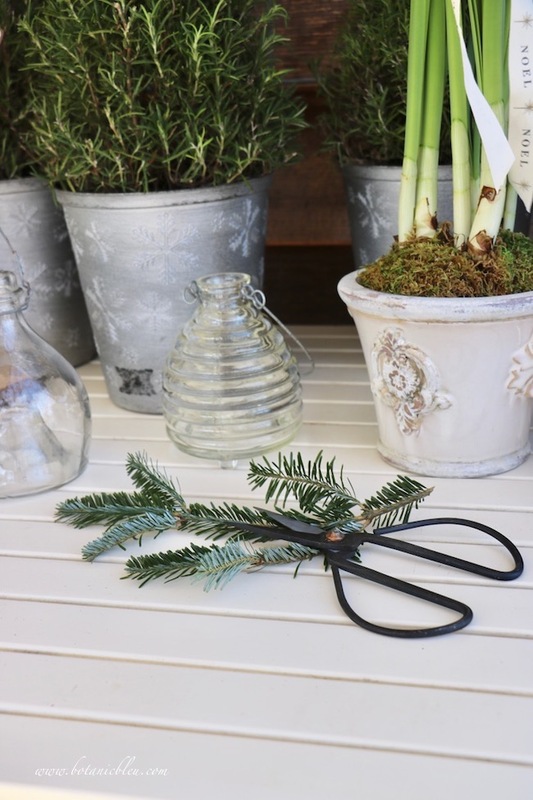 The potting bench is a perfect place for working on greenery all during the holidays. Just steps away from the living room and kitchen make it easy to pop out there. 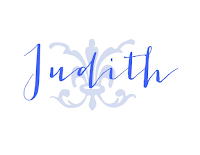 Clean-up is a snap without making the house messy while working on arrangements. 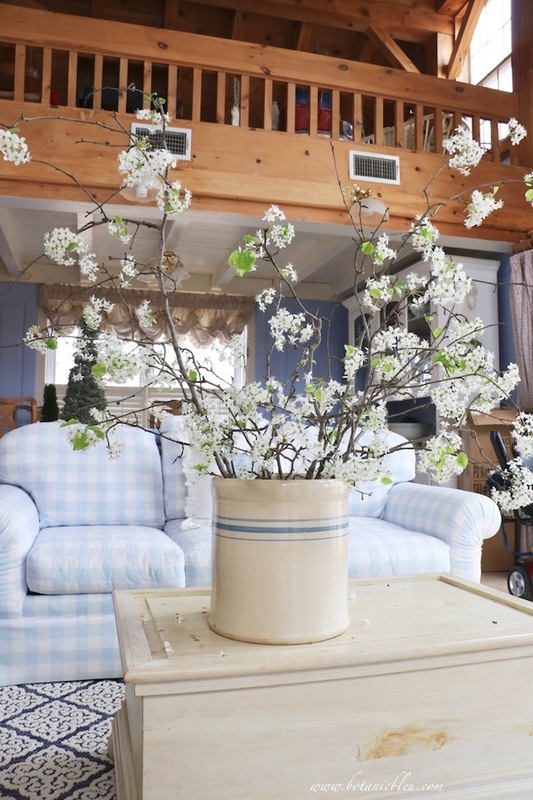 Watering potted plants is another easy outside chore that can be messy inside. 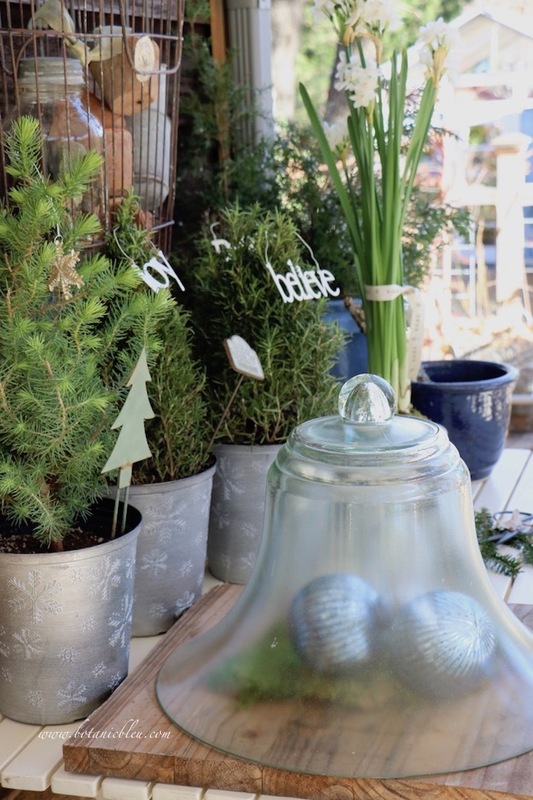 For areas with mild winters, a potting bench is a wonderful spot for Christmas greenery and for creating a Christmas scene on an outdoor porch. while you work to create the magic in your home. I love your pretty potting bench. It's so festive! I wish I had one because I would play with it all the time! BTW are you in Alabama? 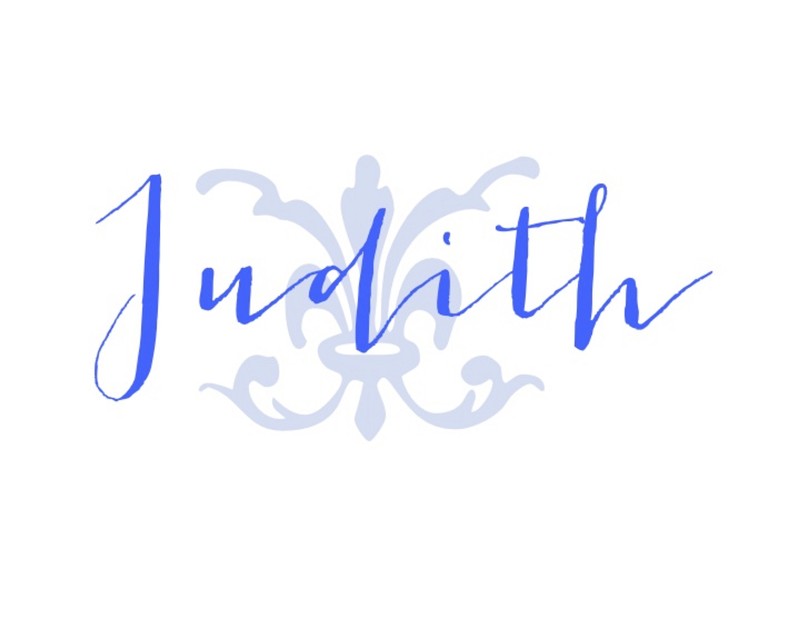 I LOVE this, Judith. 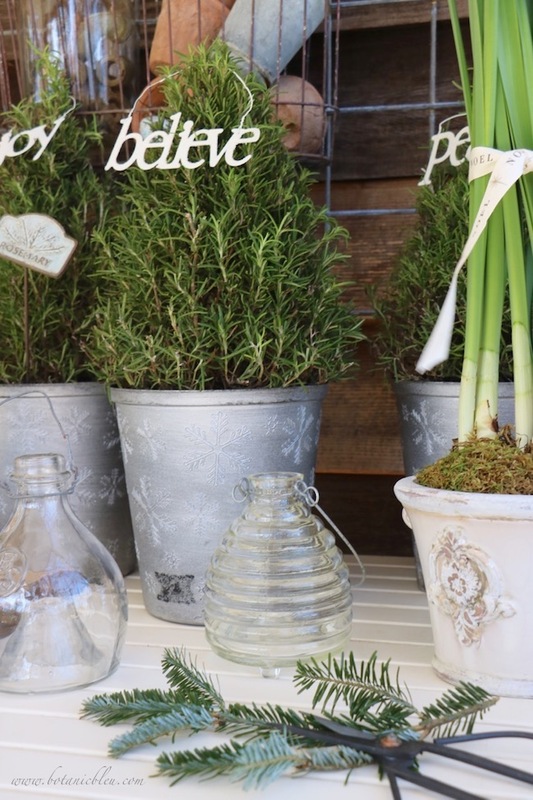 The old metal basket, the cloche with ornaments, the little trees... the perfect spot to decorated for Christmas! 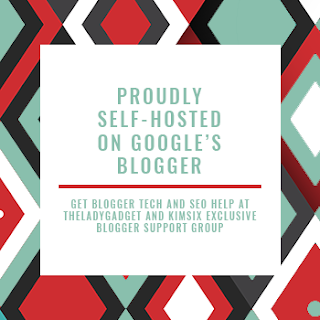 Thanks for linking up at TFT!